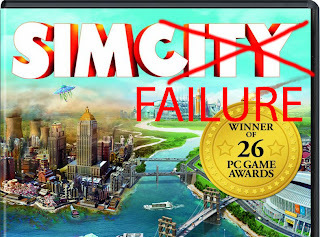 SimCity Becomes Worst Rated Amazon Game...Ever? A lot of us saw this coming a mile away when EA decided to make the latest SimCity online only. It is now the worst rated game on Amazon, with most reviewers being extremely unhappy with not being able to play a game they paid for. Also, a lot of people played for a few hours only to have their entire city rolled back because of server problems. Other problems noted were the lack of many things that were in SimCity 4, such as underground water pipe systems and subways. Will EA learn? And more importantly, why didn't they learn from Spore?